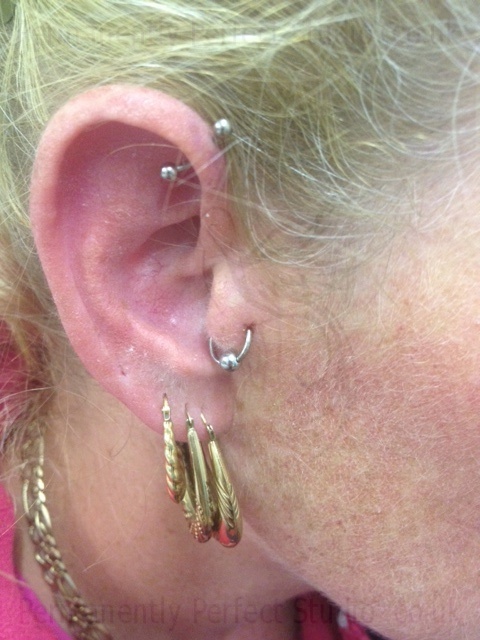 This picture was sent to us by the customer. 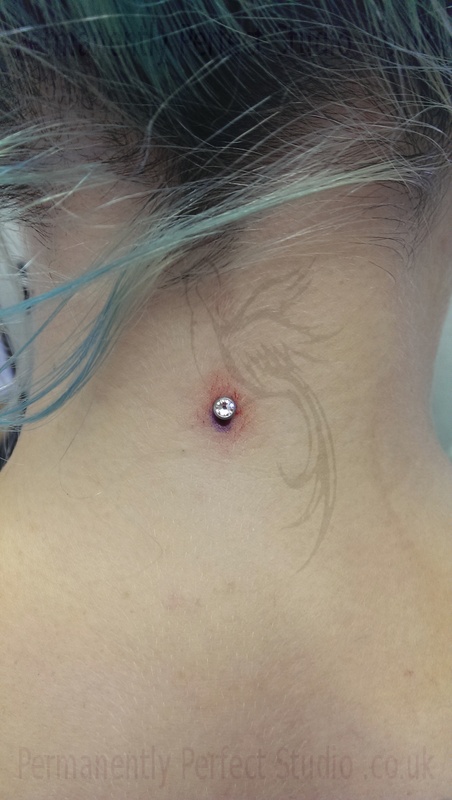 Brand new dermal anchor, still very red. 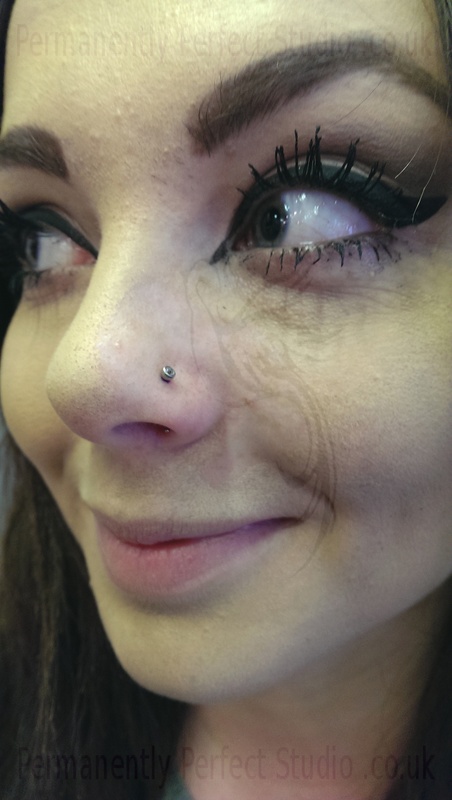 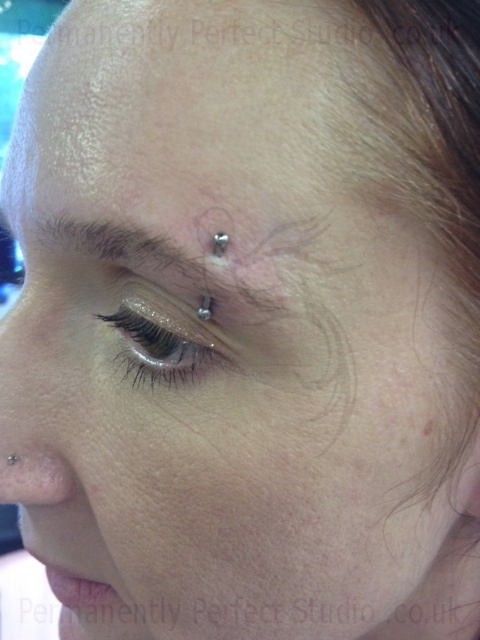 Healed dermal, tattoos not done by Permanently Perfect. 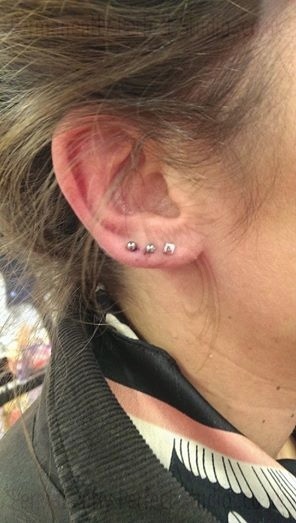 A pair of PTFE surface piercings with titanium screw fit balls. 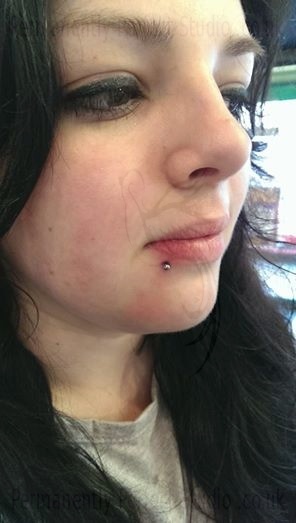 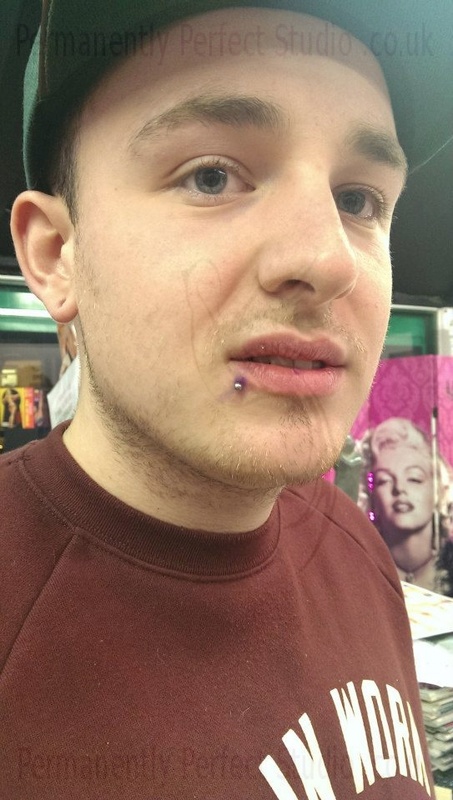 A pair of labret piercings, also available are snake bites, angel bites and more. 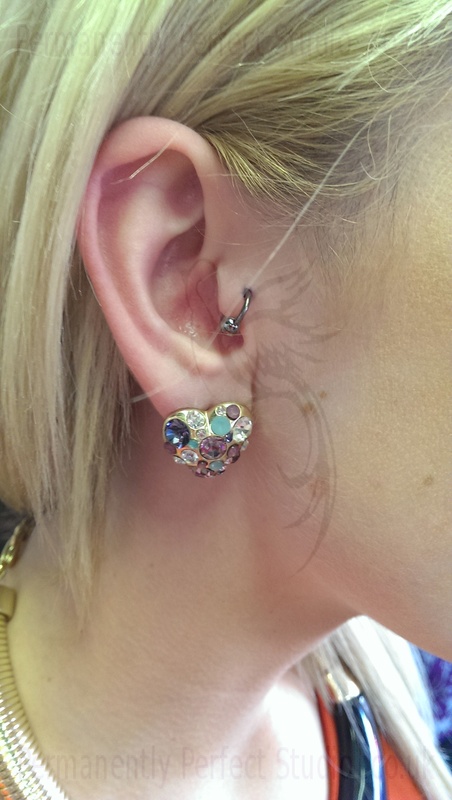 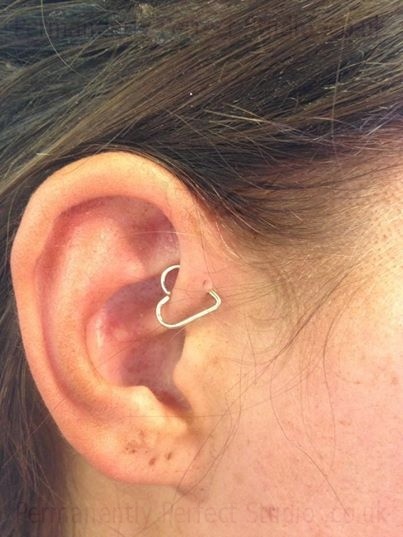 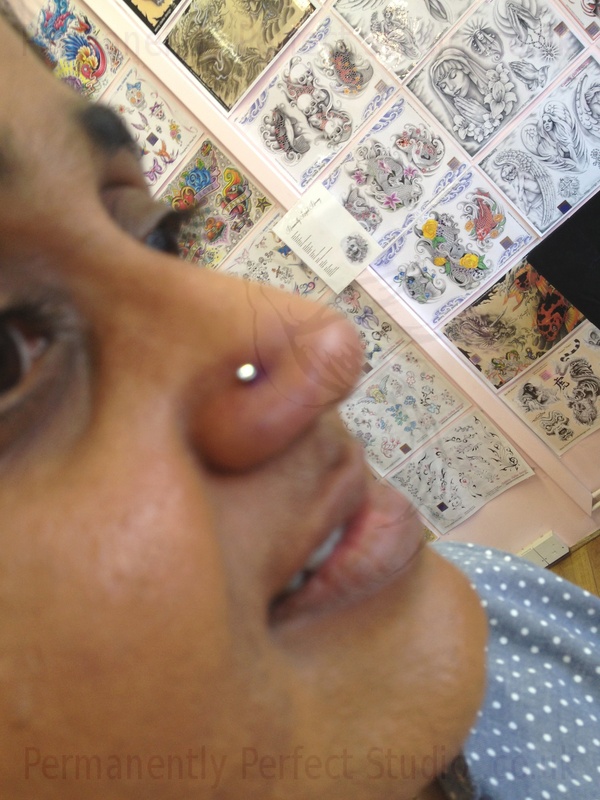 Piercing not done by me, fitted with a niobium heart. 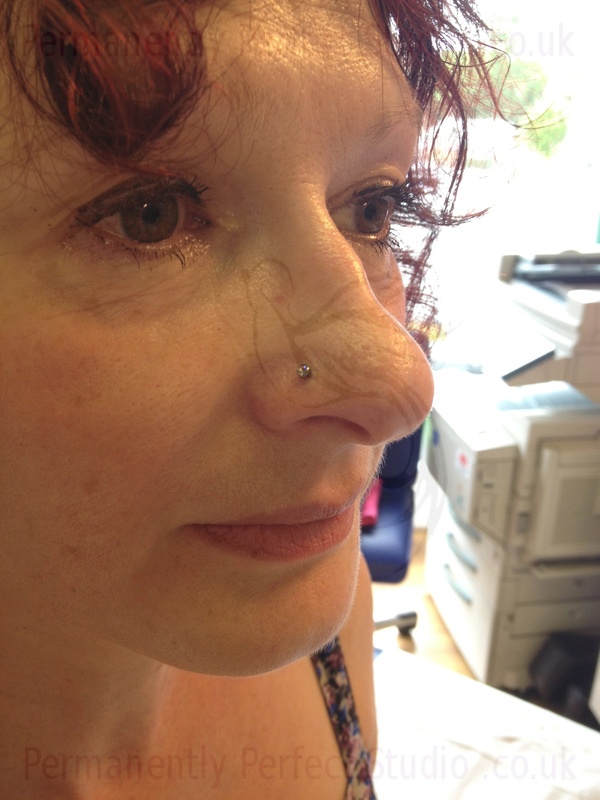 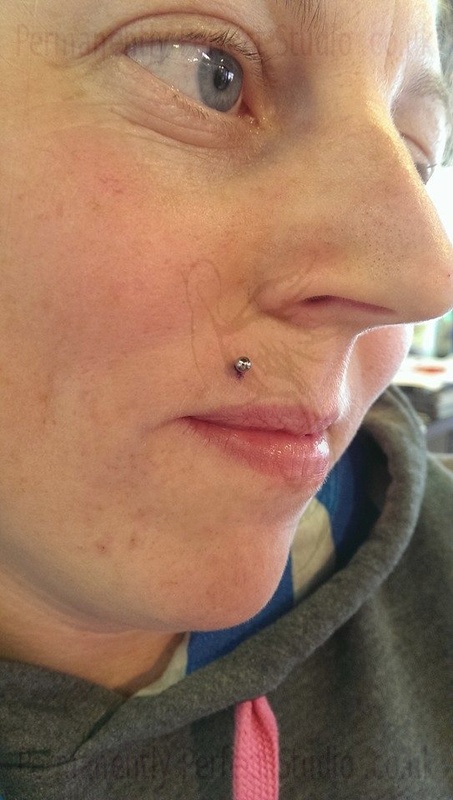 Pierced with a 1.6x12mm bar to allow for swelling. 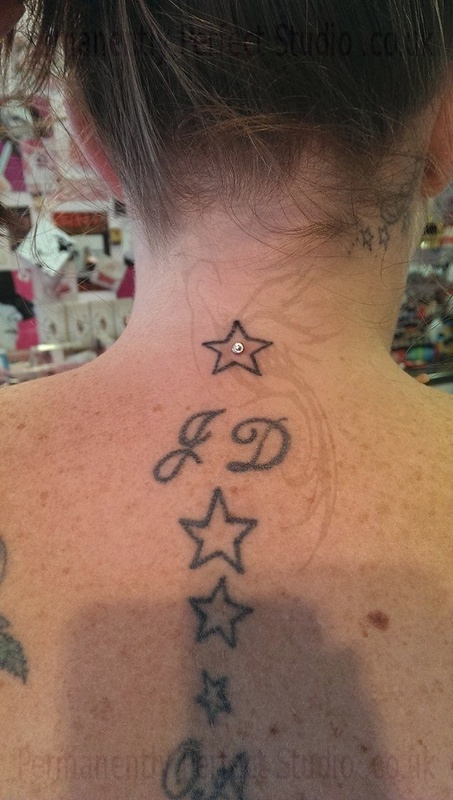 Also can be known as a Madonna. 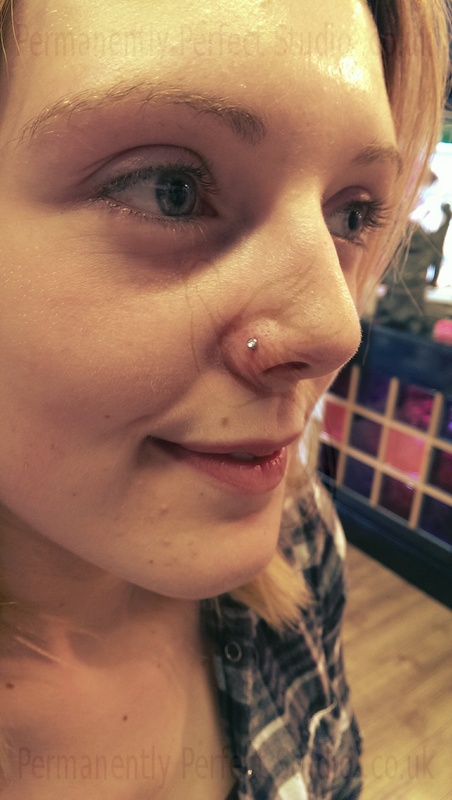 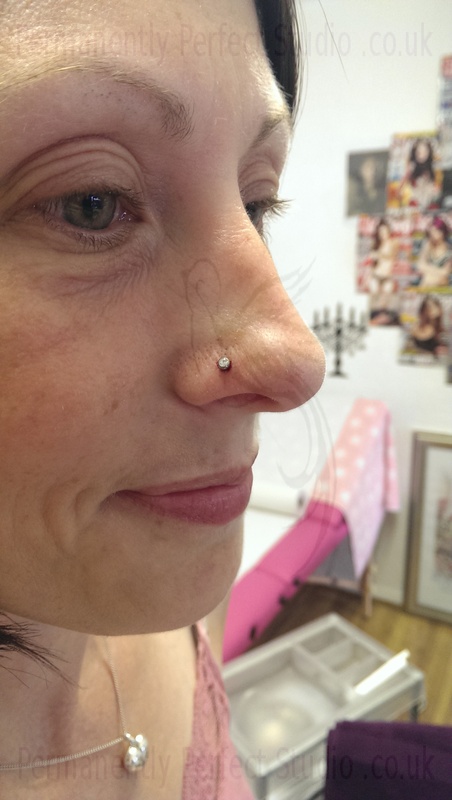 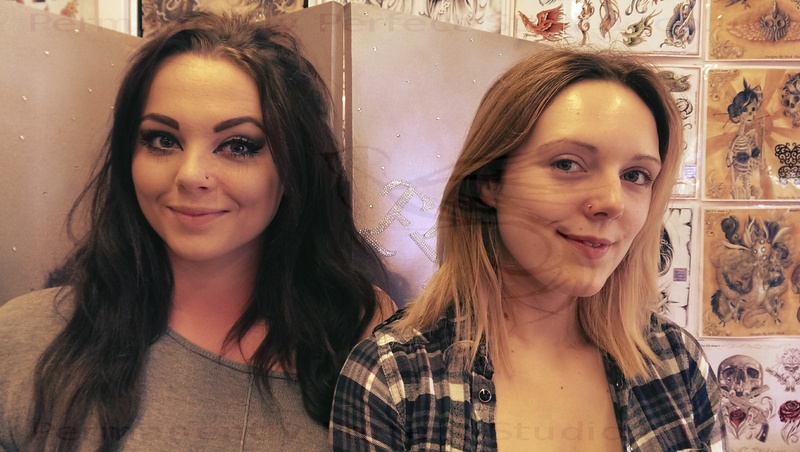 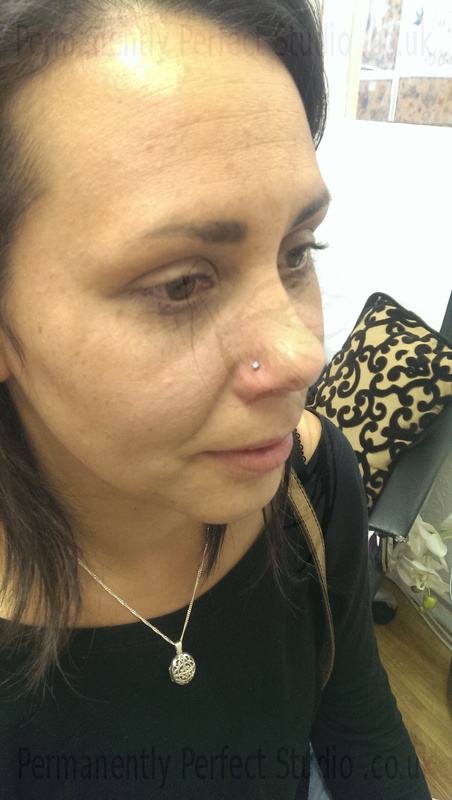 A matching pair of nose piercings done for these sisters. 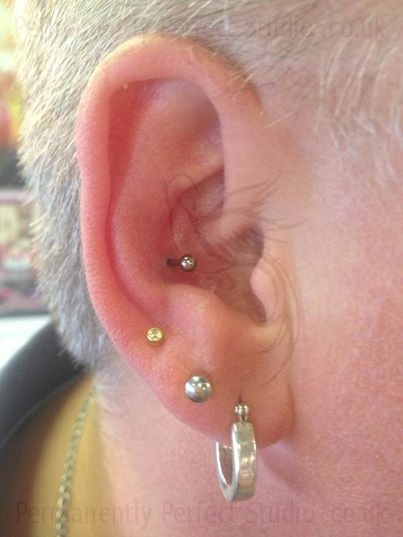 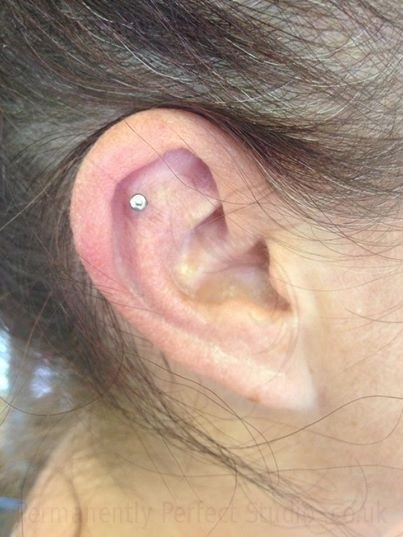 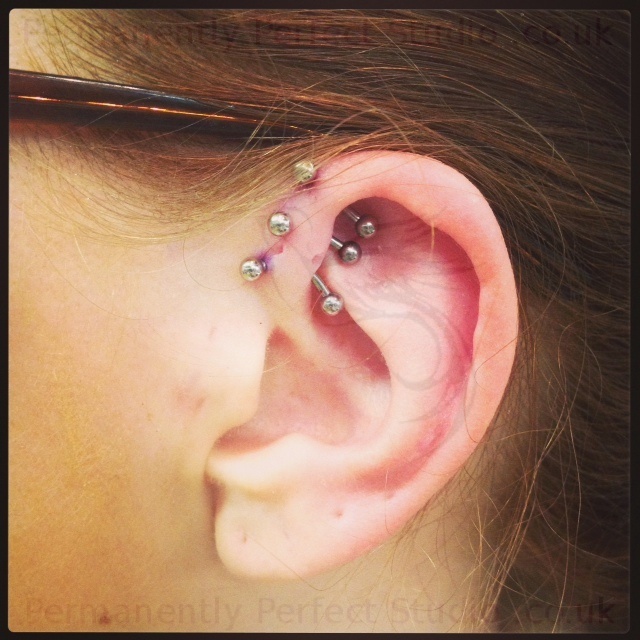 Done with a straight barbell, can also be pierced with a ring or a curved barbell. 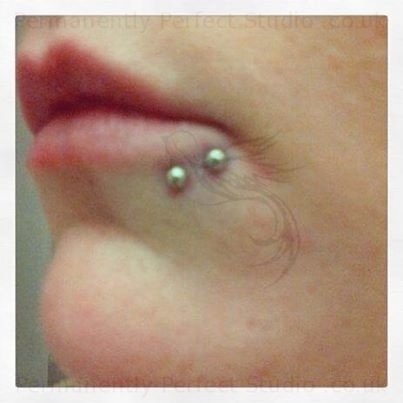 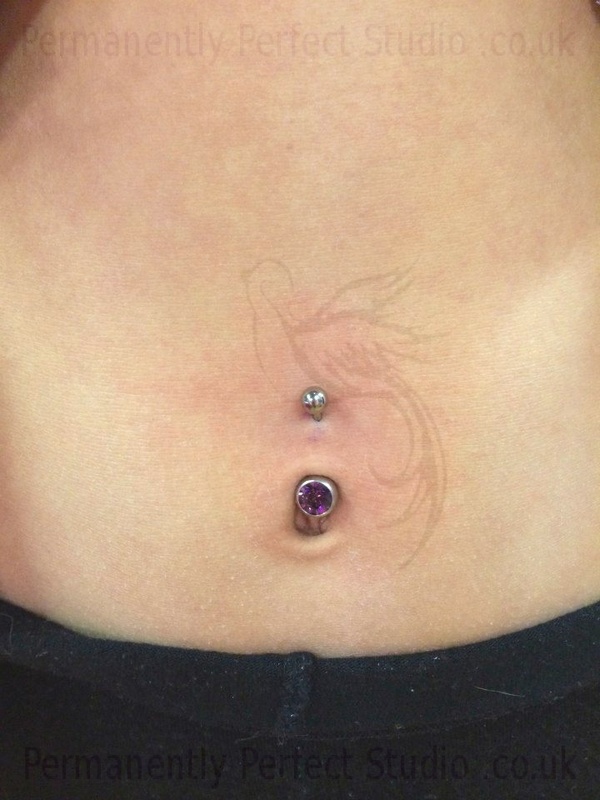 Also known as a Medusa, or a philtrum piercing. 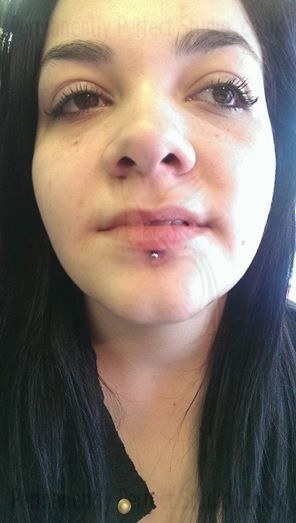 Pierced with a 1.2x8 captive bead ring. 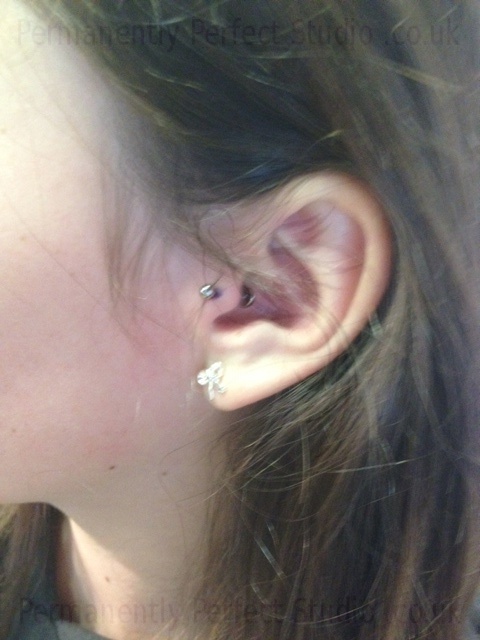 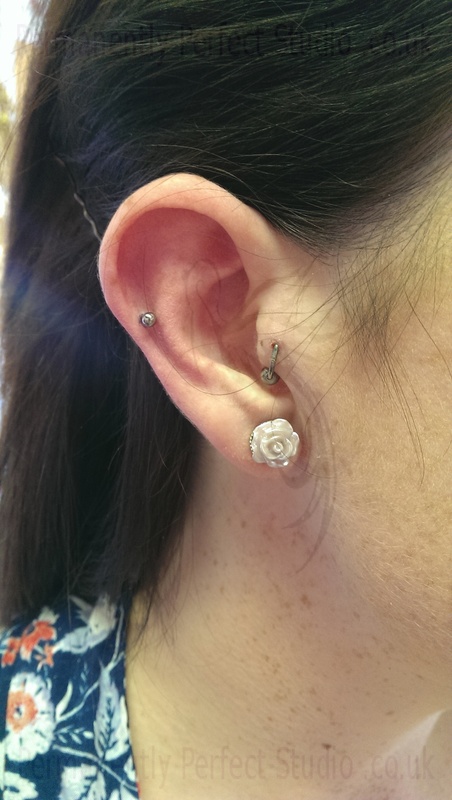 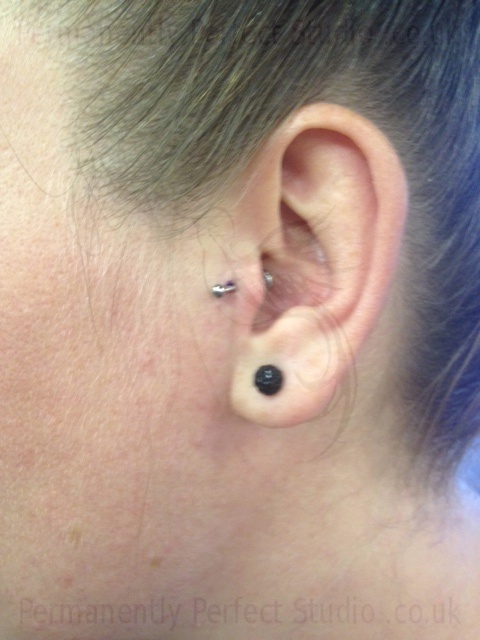 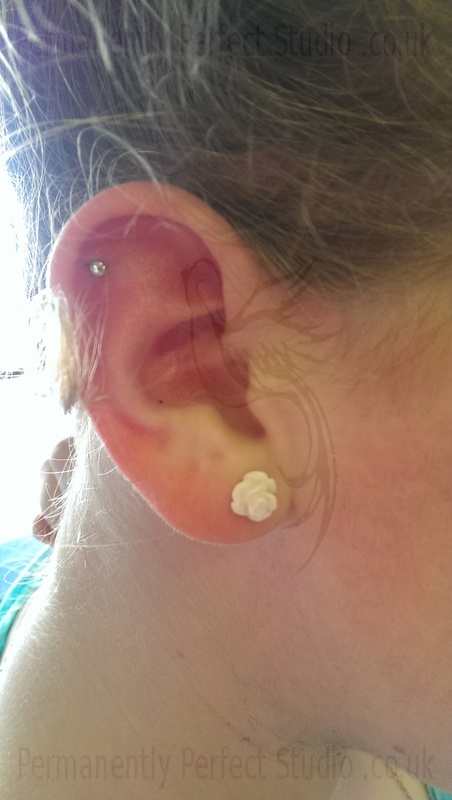 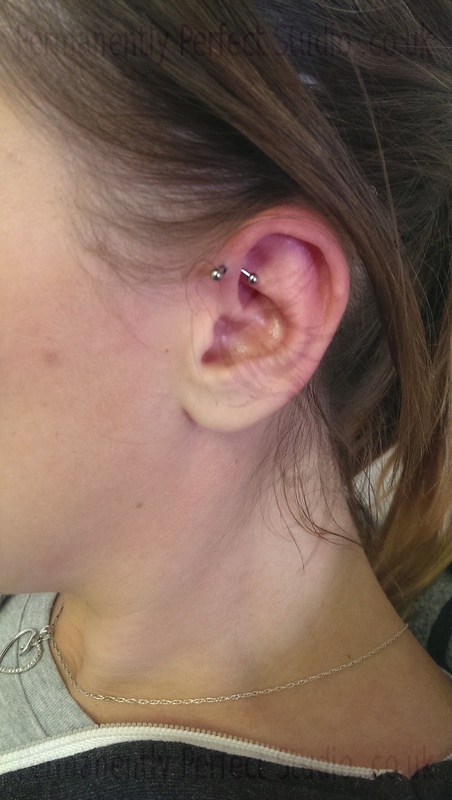 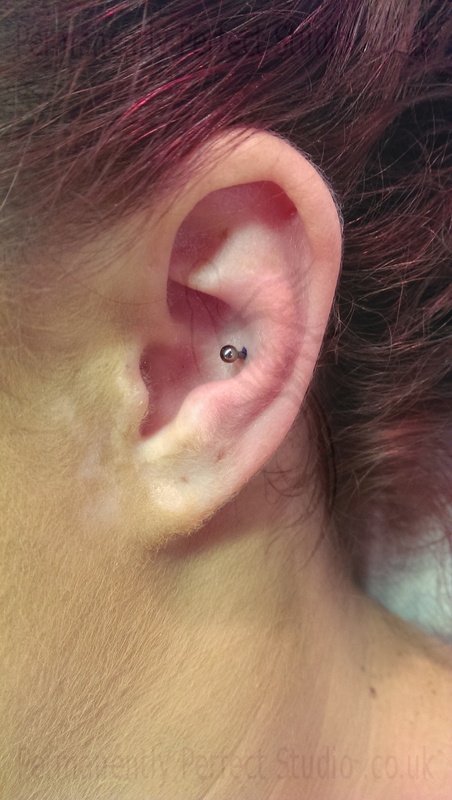 Fresh Helix piercing, with a healing tragus. 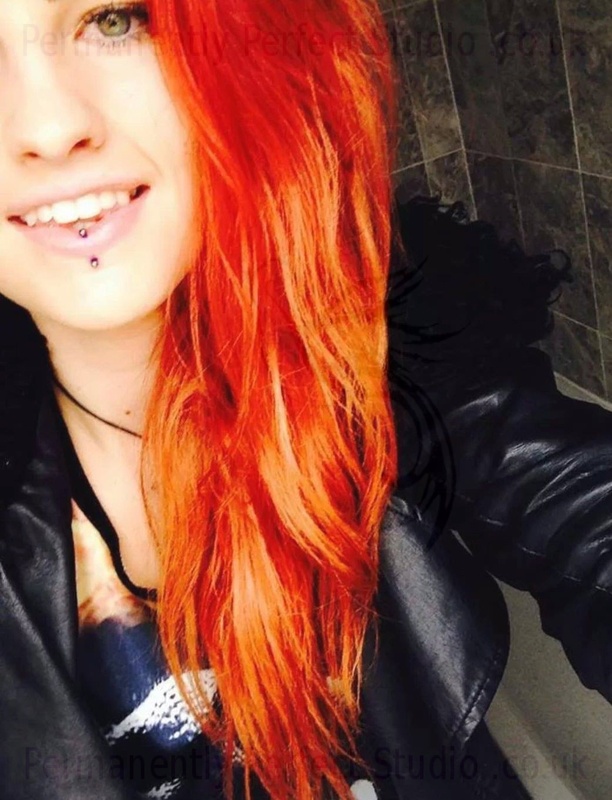 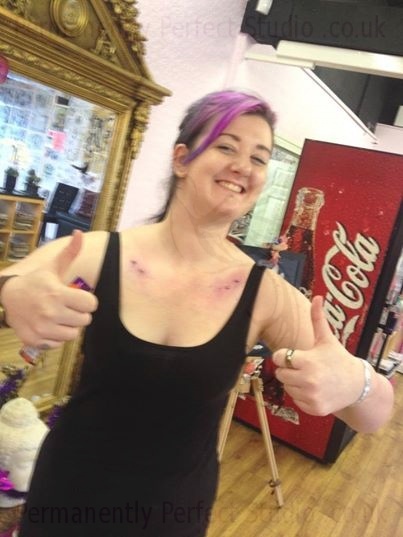 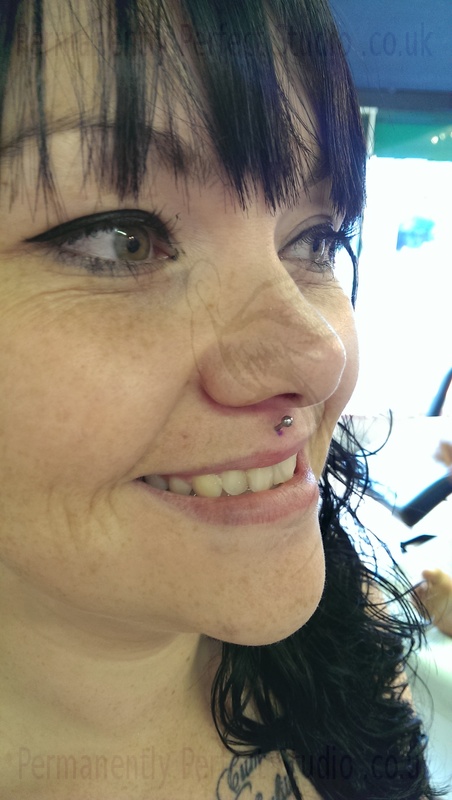 Jess is a fully qualified and certified body piercer specialising in all above the waist piercings, including microdermal's and skin divers.